Few towns in the world offer better opportunities for a brisk walk or bike ride, followed by a refreshing glass of beer than Golden, Colorado. For one thing, this little town, located 12 miles west of Denver, brews more beer than any other city on the planet, largely due to the fact that hometown favorite Coors Brewery is the world’s largest single-site brewery. But Golden also has an assortment of small craft breweries producing wonderful ales, wheat beers, pilsners and stouts. And for hikes? Golden is located in an area of spectacular natural beauty. To the east, are two mesas — high flat-topped plateaus surrounded by cliffs- and to the west Golden is the spot where the Great Plains hit the Rocky Mountains. Most notable of the Front Range peaks which tower over Golden is Lookout Mountain that boasts a road filled with hairpin turns and climbs an unbelievable 1,200 feet in just four miles. Down below, Clear Creek cuts through rock to create a beautiful canyon before spilling out into and rushing through downtown Golden. All this nature has made Golden an outdoor recreational mecca. There are paved bike and jogging trails along Clear Creek, while the center of the river has one of the nation’s best man-made, kayak and canoeing white water river courses. Hang gliders float down from Lookout Mountain, while cyclists power up the hill in low gear. Three canyons near the town offer classic rock climbs, while the prestigious American Mountaineering Museum is located on Golden’s main street and is filled with artifacts from America’s first ascent up Everest and other historic moments in the history of mountaineering. There are bike, kayak, hiking and climbing shops on nearly every corner of Golden, where you can buy or rent equipment. Local favorites, just to name a few, include Bent Gate, Vidal Outdoors, Powder7 Sports, and Golden Bike Shop. And then there are the bike and hiking trails. For the next five weeks, we are going to feature one of Golden’s hiking or bike trails paired with a perfect pub stop for a beer afterwards. For the first week, we are featuring the Lookout Mountain Nature Center and Preserve and the Coors Brewery Tour. Next week we will feature the trails of Matthews Winter Park and Barrels and Bottles Brewery. The best place to get an introduction to hiking in Golden is the gorgeous 1917 Boettcher Mansion on top of Lookout Mountain. Once a summer home for the Boettcher family, this beautiful log building has been turned in a museum along-side a nature center in the middle of a preserve. The preserve has 1.4 miles of gentle trails that wind through ponderosa pine forests mixed with meadows of wildflowers. Exhibits in the center will tell you about the black bears, mountain lions, bobcats, elk, and mule deer that are often captured on the center’s cameras. 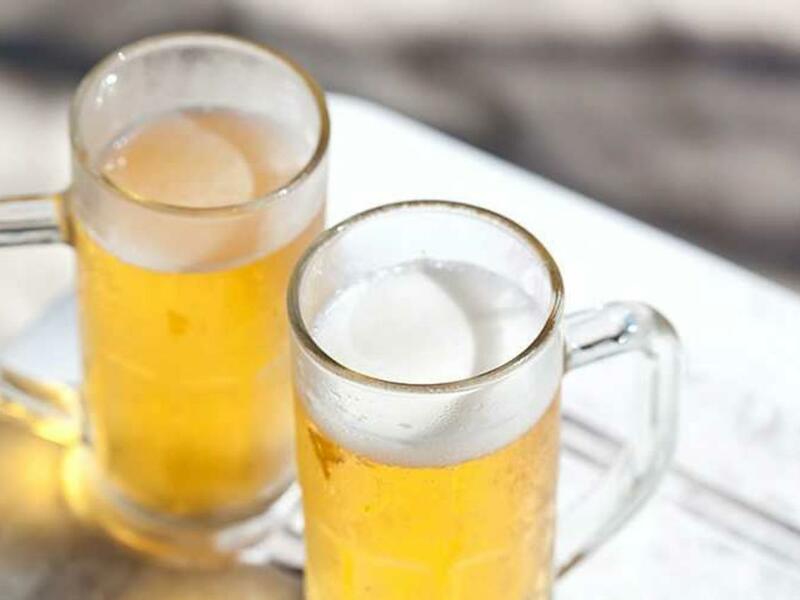 Beer Stop: Now that you’ve learned about the flora and fauna of the foothills above Golden, learn about the beer made down in the valley by taking the free, 30-minute, self-paced tour of the malting, brewing and packing of Coors Beer. Coors is the world’s largest single-site brewery and a perfect place to learn how beer is made. Explore a room of giant copper kettles and then stop in the fascinating packaging room, where millions of cans and bottles whirl by, on their way to being filled with beer and slotted into six packs. After the tour, those 21 and over can sample three free glasses of beer (with soft drinks for those under 21). Try a Colorado Native. This tasty beer is only available in Colorado and is the only “all Colorado” beer made with just Rocky Mountain water, Colorado-grown hops, Colorado-grown barley from the San Luis Valley and the oldest strain of brewer’s yeast in Colorado.